This innovative work on Chinese concepts of the afterlife is the result of Stephen Bokenkamp's groundbreaking study of Chinese scripture and the incorporation of Indic concepts into the Chinese worldview. Here, he explores how Chinese authors, including Daoists and non-Buddhists, received and deployed ideas about rebirth from the third to the sixth centuries C.E. In tracing the antecedents of these scriptures, Bokenkamp uncovers a stunning array of non-Buddhist accounts that provide detail on the realms of the dead, their denizens, and human interactions with them. 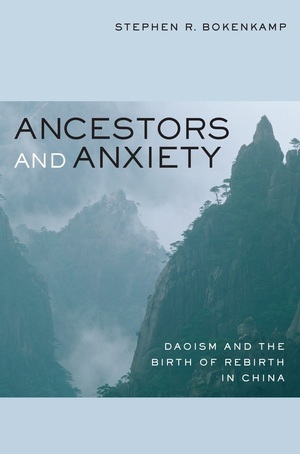 Bokenkamp demonstrates that the motive for the Daoist acceptance of Buddhist notions of rebirth lay not so much in the power of these ideas as in the work they could be made to do. Stephen R. Bokenkamp is Professor in the Department of East Asian Languages and Cultures at Indiana University. He is the author of Early Daoist Scriptures (UC Press).